There is much more to the Somerset Region than the relaxed pace of life and the friendliness of the people. The Lakes region is filled with a large array of attractions, which ensures visitors will take home something to remember from their outing to the Brisbane Valley. All will enjoy the breathtaking scenery. As you travel through the region, you will absorb the spectacular rugged mountains, the large man made lakes, native bushlands, beautiful meandering rivers, hidden valleys and the patchwork pattern of ploughed farming land. The “Valley of the Lakes” is the gateway to the Brisbane River catchment and is steeply built on the history of an amazing bygone era. Lake’s Wivenhoe, Somerset and Atkinson Dam are a recreational playground for the anglers and water sport enthusiasts while also offering a place to unwind with the family at the numerous picnic spots. Enjoy the old world charm by visiting the historical homesteads, buildings and Rail Trails in the small country townships. The country pubs, cafes, bakeries and restaurants offer an insight into the rural lifestyle, friendly locals or you can just enjoy the country hospitality of one of the many accommodation establishments. Whatever you decide to do – you have the ability to set the pace within. Take your time and calm the spirit – or be a little more adventurous. Take in the clear blue skies, the golden sunsets. Meet the friendly local country characters and enjoy our lifestyle. 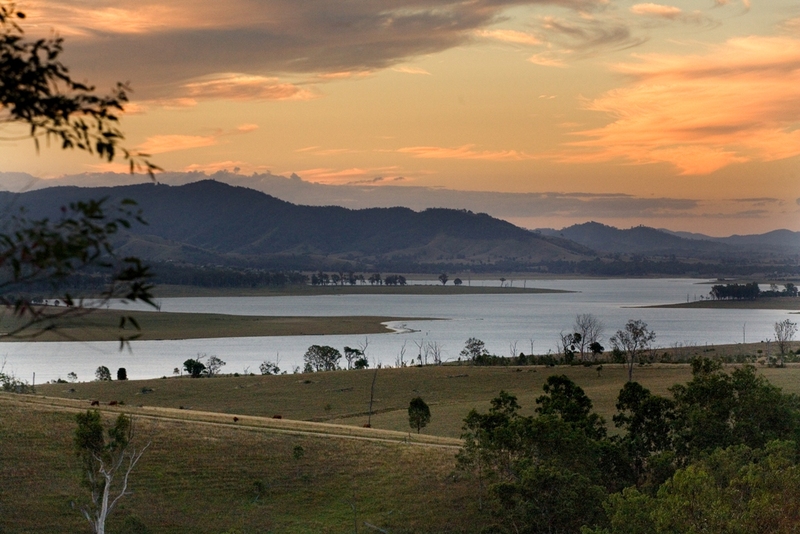 The Somerset Region is the gateway to the Brisbane River catchment. Lakes Wivenhoe, Somerset and Atkinson are a recreational playground for the anglers and water sport enthusiasts, while also offering a place to unwind with the family at the numerous picnic spots. Enjoy the country charm of visiting the historical homesteads, buildings and rail trails dotted throughout the region. Many of our attractions and eateries offer an insight into the rural lifestyle and friendly locals. You can even take the time to sample our region’s award winning wines.